I first came cross Yoga Nidra whilst in Peru. I was visiting a small town full of alternative healing wonders; shamanic pharmacies and crystal stores by the bountiful. Keen on taking in the full visitor experience, upon seeing a poster for a Yoga Nidra class I thought, why not? The sleeping woman pictured certainly looked blissful. I arrived at the class later that night, to find that I was the only participant. Briskly locked in a darkened room with the instructor, I was asked to leave my possessions in the corner and to lie on the floor, with my eyes closed. Ready for what seemed like quite possibly the end… I was instead taken on the magnificent journey that constitutes Yoga Nidra. The instructor explained: Yoga Nidra or Yogic Sleep, is the yogic science of deep relaxation. 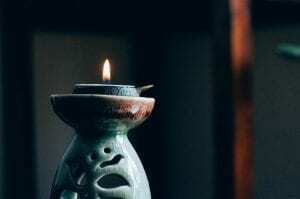 Rooted in ancient Indian Tantric concepts such as nyasa and prajna, the process involves accessing the state of consciousness that’s between our waking and sleeping states. With practice this can be achieved on your own, or more often, with the help of instructive guidance. 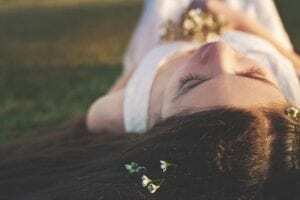 In contrast to lucid dreaming, where the participant has little or no awareness of their actual environment, yoga nidra is among the deepest of possible relaxation states that maintains full consciousness. This is achieved through a gentle withdrawal from the 5 senses (pratyahara). With four internalised, only our hearing remains, connecting with the guided instructions. These instructions include guided visualisation, relaxed concentration and compassionate observation techniques. This allows us to withdraw from a focus on our senses in the external world, and to rather move into deeper layers of awareness within the wider mind. This deep, resting state can help you experience a significant release in tension and stress, as well as profound silence. In modern times, Yoga Nidra was popularised by Satyananda Saraswati who after studying tantric scriptures, constructed his own eight-stage system. His book, ‘Yoga Nidra’ became instruction for practitioners around the world. 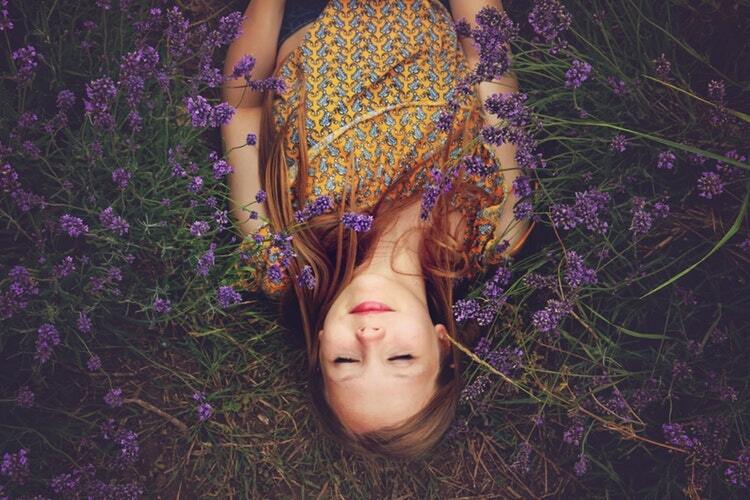 Simply put, yoga nidra causes our brain waves to slow down, bringing about a state of extreme relaxation. This begins with focused breathing methods, which first trigger a relaxation response in the body. This balances the sympathetic and parasympathetic nervous systems. Meanwhile, the brain shifts from beta (an active state) to alpha (a more relaxed state). In the alpha state, serotonin (a mood-regulating hormone) is released, calming you down. Shifting your brain into an alpha state initiates a process of ‘powering down’ to rest. After alpha, you’ll move into a deep alpha and high theta brain-wave state. This is also known as the dream state, or REM sleep. In theta, things slow down to 4-8 thoughts per second. Emotional integration and release happens here, as well as Super Learning. Artists and children often experience theta activity. Following theta, you are guided to delta. Thoughts take place here only 1-3.9 times per second. This is a restorative state, where cortisol (a stress hormone) dissipates from your system. Unfortunately not enough people are reaching deep states of theta or delta on a regular basis, meaning they’re not giving their bodies a chance to restore their systems or power down fully. Studies have shown that those with depression sit within beta and alpha states, never or only rarely going into theta or delta. From delta, yoga nidra can take you further – to a place that can’t be reached through even sleep! The fourth state of consciousness, below delta: renders the brain thoughtless. Not everyone who practices yoga nidra ever will reach this state of total surrender and peace (there’s a high likelihood of falling asleep first), but with committed practice you’ll at least receive glimpses of it! One study has shown that a one hour session of Yoga Nidra, is as restorative as 3-4hrs of deep, restful sleep. The ongoing practice yoga nidra has been found to reduce tension and anxiety significantly. This has obvious healing implications for autonomic symptoms of high stress such as headaches, chest pain, digestive issues, and other stress-related chronic illnesses. Resting in this state of awareness, Yoga Nidra can also help awaken you to unconscious barriers such as long-held fears, self limiting thoughts and destructive emotions. It has even been used to help soldiers suffering from PTSD. Yoga Nidra is usually performed in savasana (corpse pose) lying on your back, with cushions or blankets for total support and relaxation – anything that ensures maximum comfort. Make sure your body is warm, it can often become colder as the practice progresses. You could also use an eye pillow. Make sure that you’ve removed distractions and will be able to ease gently out of your practice. Being jolted out of deep states can potentially be quite harmful! Next, find your chosen guidance (there is an abundance of great yoga nidra audio available on the internet!). Alternatively, you could join one of the many yoga nidra classes that are fast popping up around the world. There are wonderful Yoga nidra sessions being offered as part of both midweek and weekend retreats at Happy Buddha. Speaking from experience, they’re beautiful, rejuvenating wrap ups to the day – I highly recommend!